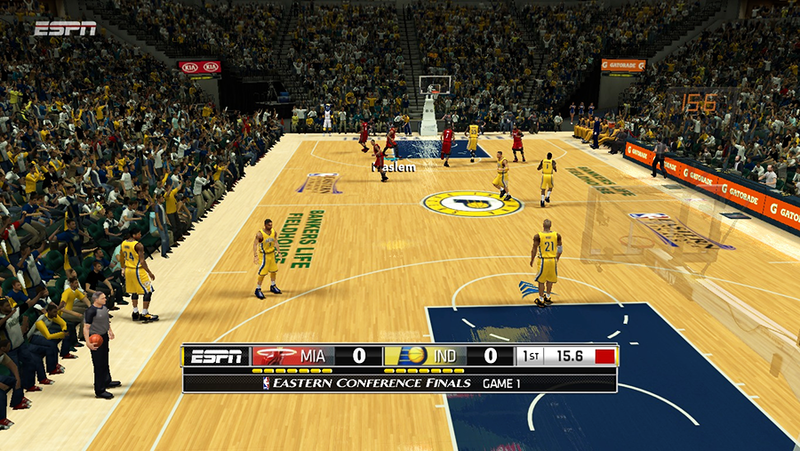 This NBA 2K14 mod is an extension to the ESPN scoreboard by exrxixxx. It updates the team logos and the overall look of the scoreboard to match the real one this postseason. 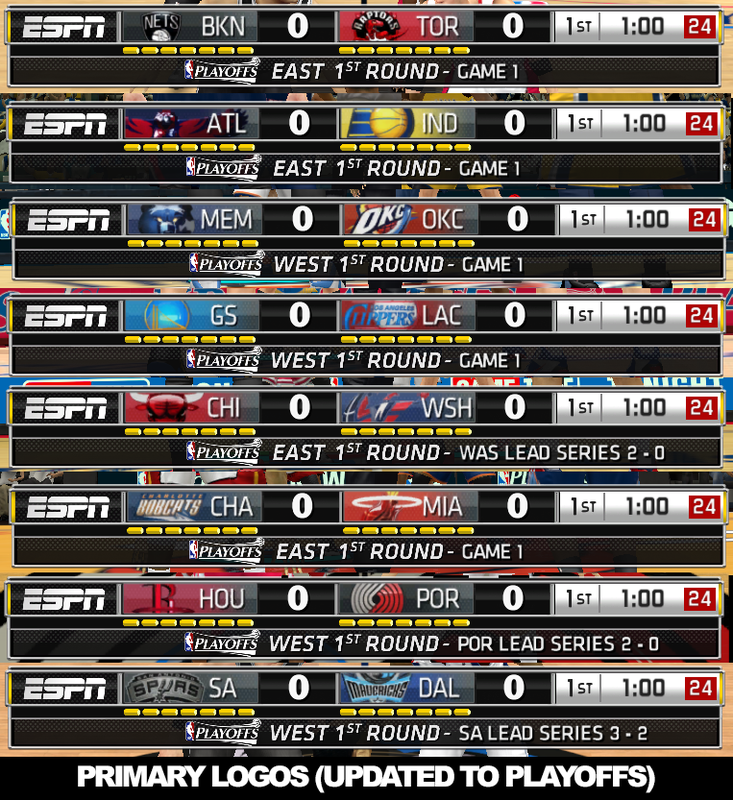 ESPN Scoreboards - 1st Round Playoffs and Conference Finals (East & West). 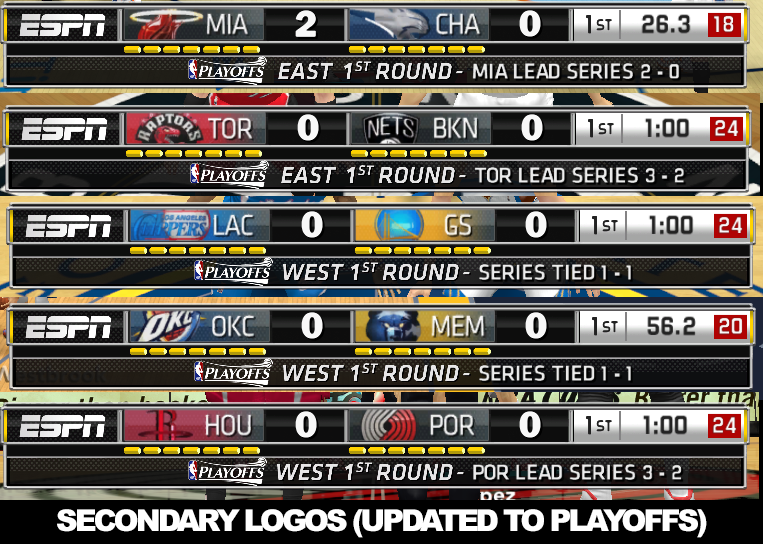 No Conference Semis version yet because I'm still working on how to move the series progression. 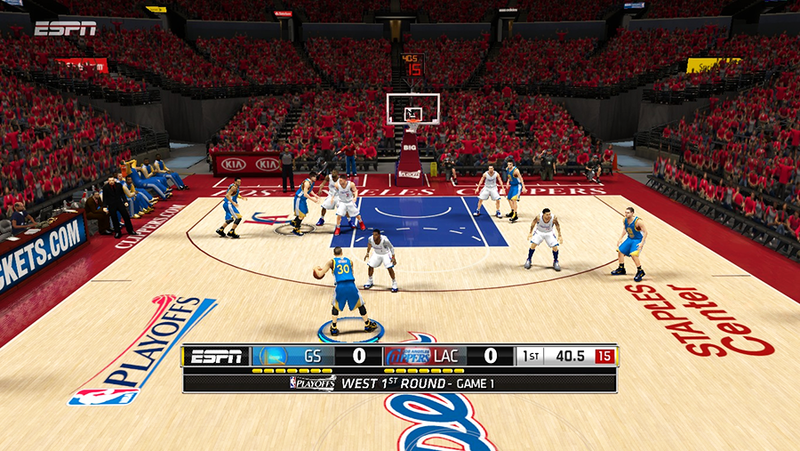 The playoffs series progress that appear at the bottom of the ESPN scoreboard will only work in exhibition games (Quick Game/Play now mode) if your NBA 2K14 is activated and connected to the 2K server. In other game modes (MyCareer, Association, Playoffs etc), it'll show the simulated season standings or the playoffs progress. If your game is not connected to the Internet, it'll simply display "Playoffs", "Eastern Conference Finals" or "Western Conference Finals"